In a previous article we looked at how vital it is to check the language used in Continuing Care assessment notes, and how the language used by assessors in these notes can play down health needs and be detrimental to your case for Continuing Care funding. 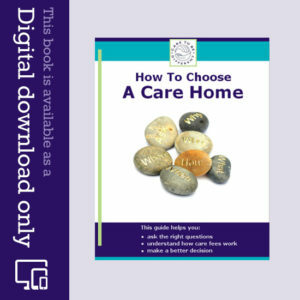 In this article we now look at the perils of relying on the daily care notes written by care homes and care agencies. Sadly many of these daily care notes are inadequate, and yet in any care funding assessment much of the ‘evidence’ that counts towards your case for NHS Continuing Care funding comes from these daily care notes. If the notes are not good, they can damage your chances of care fees funding. The notes may be filled in in a hurry at the end of a busy day, perhaps by care staff or assistants who don’t have an in-depth knowledge of your relative’s care needs and state of health, and who won’t realise how these notes may be used in the future and the impact of the words they write. For example, it’s not unusual in daily care notes to see the phrase, “Nothing new observed” written as the summary of a given day’s care. The fact that the care staff are experienced in dealing with a person’s care needs, and have carried out the care many times before, is being recorded as ‘nothing new’, and yet this masks the often substantial care and intervention required. A Continuing Healthcare assessor may look at notes like this and give someone a lower assessment score as a result. It’s very common for care staff to write comments such as “routine care”; it may be routine to them, because they are skilled at managing a person’s needs, but this should not in any way lead to a person being scored lower in an assessment! 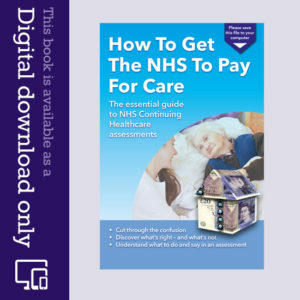 In fact, the National Framework for NHS Continuing Healthcare (the official guidelines for Continuing Care assessments) clearly states that a health need should not be marginalised just because it is managed. Similarly, many families find that the care notes simply record the times of day when certain interventions took place, e.g. the time of a meal, but find that there’s a lack of any usable information about health needs, risks and problems. Do the care notes match the Continuing Healthcare eligibility criteria? In daily care notes there is often nothing that is directly useful when it comes to measuring someone’s needs against the Continuing Healthcare eligibility criteria – because the care staff or care assistants completing the notes generally have no knowledge of the criteria. Nor do they realise that their (usually hastily handwritten) notes will be used as the basis for such an important funding decision. In an assessment it can then become a battle of words, with the family highlighting that the notes are incomplete or inaccurate, and the assessor keen to stick to what’s actually written down. And, of course, the care provider will also want to defend its record keeping. Ask the care provider to show you the daily care notes. Have a look through these from time to time, to make sure they reflect a full picture of needs in relation to Continuing Care – as if you were going to have to rely on them. Make sure they include the risks and day to day care needs in every care domain. If you hold a financial power of attorney for your relative and you are looking at the care notes from the point of view of pursuing funding, you are entitled to see these notes. If your relative is having a Continuing Healthcare assessment and a member of the care staff is attending, make sure that person is someone who cares for your relative every day and knows their needs well. Inaccurate information provided both verbally and in care notes can lead to incorrect assumptions being made – right from the outset – which then lead to further problems accessing funding. I have just bought the book from this website and it is a relevation. My father in law, who is 90, has been blind since he was a young man. One of his eyes was removed and he is able to discern little more than light and dark in the other. He held down a full time job when of working age and up looks after himself living alone in his flat (rented). He pays for help shopping and other social needs for a couple of hours each week. He has full mental faculties. For the past year he has been having treatment for bladder cancer which is under control. After each session he returns home and each time has increasing incontinence problems at night until he regains control. Days seem fine, A few weeks ago he was admitted to hospital unable to urinate. His hospital discharge was delayed until a six week daily care package could be put in place. However, we have pressed for his early return home because he will be far better able to use facilities there (he knows exactly where things are in his flat) instead of ringing a buzzer and waiting for minutes for someone to take him to the loo. He will return home tomorrow and my wife will stay at his flat for a period expecting that control will return for him. The anomaly of his own situation in comparison with the book’s examples is that he will likely not require 24 hour care, not yet anyway. Once he is home should we press via the GP for a Continuing Care assessment given that 24 hour care is certainly not needed? i know this is an old post but my brother and I have repeatedly asked mum’s residential home to see her notes (we have both Financial and Health POA), and we have been told that we will have to apply in writing?! This is crazy to me – she is currently in hospital and I check her file regularly. Now mum is needing to move to a nursing home (we are awaiting the final meeting for the DST) so I am hoping we can establish an agreement to see these notes from the get-go in the new home. I am wondering whether it will still be worth us applying to get the old notes from the original residential home as I am sure there will be nuggets of information there that might be helpful to us during the DST? As financial and health POA you should be fully involved and have access to the notes. It’s certainly worth asking for a copy of the notes from the previous home, too. Bear in mind that there may be a photocopying charge as daily care notes can (and indeed should) be quite substantial.